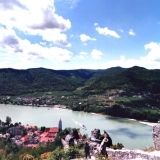 A visit to Dürnstein, located in the World Heritage Site of Wachau west of Vienna, is always worthwhile. The ascent to the Dürnstein ruin is short and easy to cope with. This virtual tour consists of only three panoramas. But the view over the Wachau Danube Valley is simply worth seeing. And if you, like countless other tourists from all over the world, are on site, then of course you will also visit the romantic alleys of Dürnstein and enjoy the delicacies of the region. 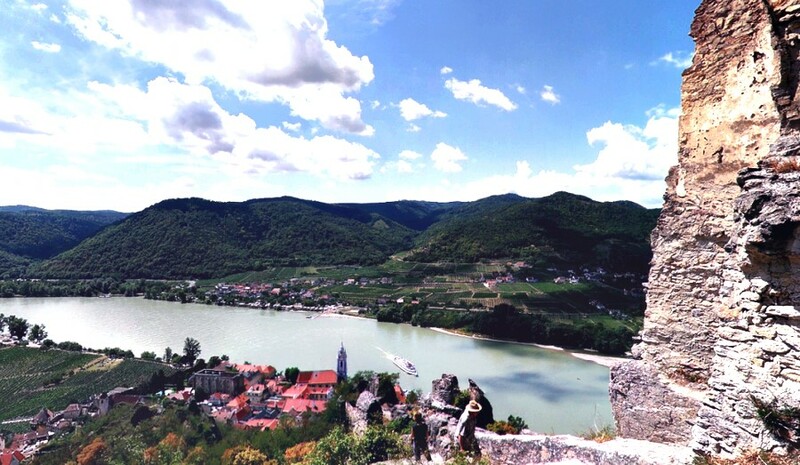 You should not miss Wachau wine, apricot dumplings and apricot schnapps.